Chabad of East Boca Raton, FL, which is the subject of a Federal lawsuit filed by neighbors trying to prevent its expansion, was the victim of a vandalism attack last weekend. Is it hate or a random act of vandalism? 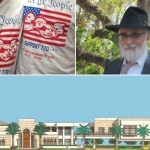 One Boca Raton rabbi wants the answer to that question. This comes after someone stole and broke mezuzahs outside a Jewish center. “It’s very shocking and disturbing. 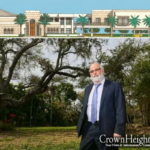 Jarring,” explained Rabbi Ruvi New from the Chabad of East Boca Raton. 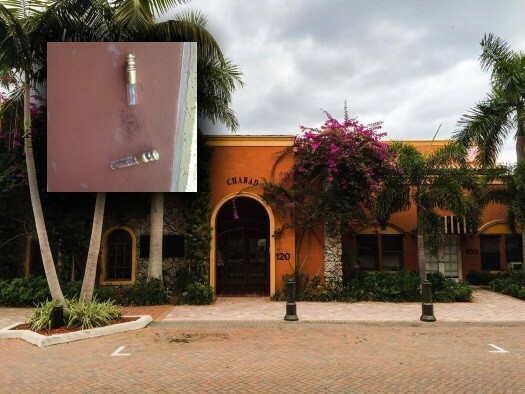 Friday, he replaced a mezuzah at the main entrance to the Chabad. He said someone stole two mezuzahs from the center last weekend. “It’s an ancient security system,” New described the purpose of a mezuzah. Click here to continue reading at WPTV. My first time ever at the Chabad house I was surprised of how beautiful it was and how well it blended in the the neighboring shops. Very sad state we are in, even more surprising here in Fl.